I love spending time with my family. Strike that, I cherish it. And truly, it doesn't matter where you go to spend quality time with the ones you love. You don't have to be at an expensive museum or a crowded orchard festival (check out my blog on alternative things to do in the Fall). A lot of times we forget that there are simple family things we can do together, too. This is not to say that I don't still enjoy a good day trip (I'm the Jersey Momma, after all, it's what I do, man! ), but I also know that my son doesn't need to be entertained all the time. We take day trips and visit cool places because we like to. Not because we're supposed to. So this time, let's take a no-crowd day trip. Let's visit Merrill Creek! Follow The Jersey Momma's Boy and The Jersey Grandma- they'll show you the way! 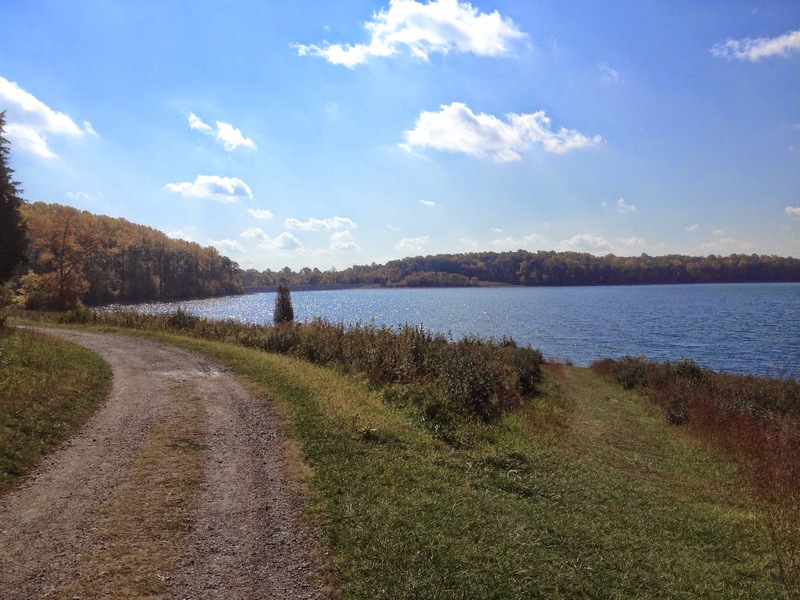 Our first stop...Merrill Creek Reservoir in Harmony Township! 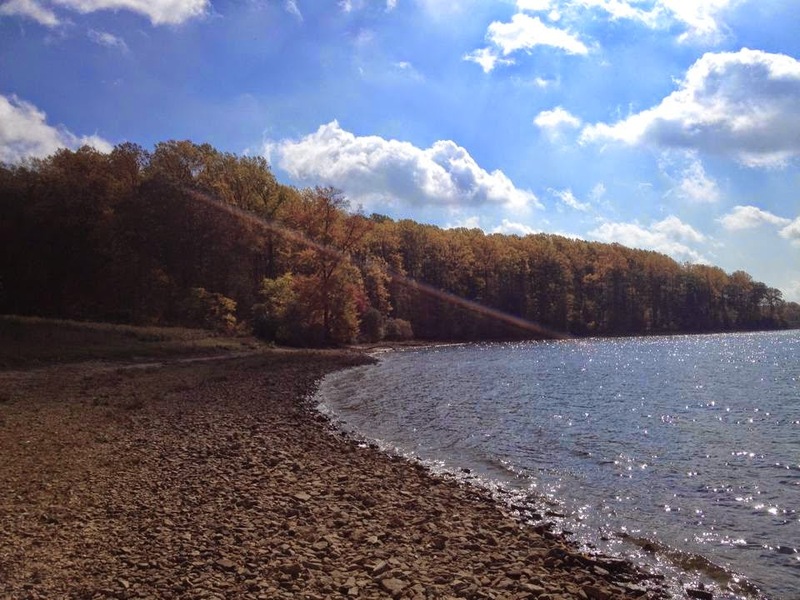 What is Merrill Creek Reservoir? Here's a direct quote from their website: "Merrill Creek Reservoir is a 650-acre reservoir surrounded by a 290-acre Environmental Preserve and 2000 additional acres of woods and fields. Its basic purpose is to provide stored water that can be released to the Delaware River to make up for the evaporative water usage at certain electric generating units in times of low flow in the river. 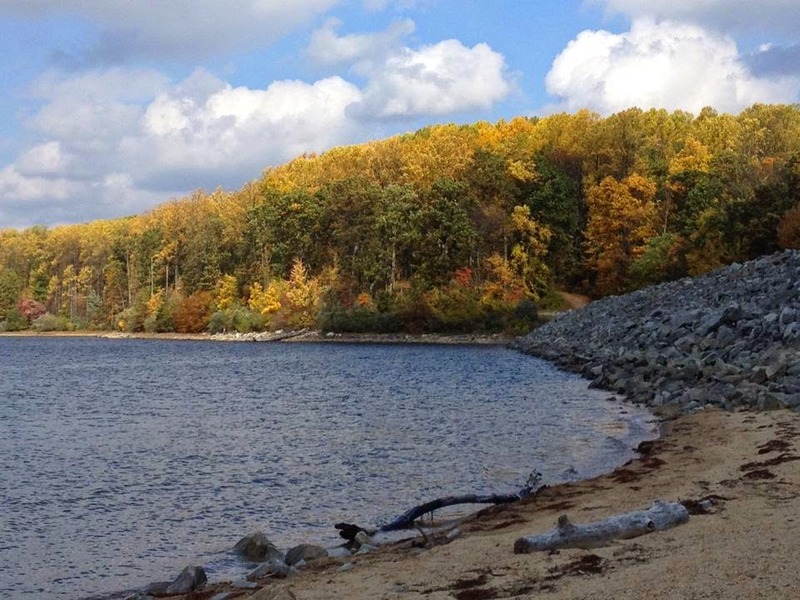 In addition to that basic purpose, Merrill Creek Reservoir provides a tranquil setting of water and land that allows people to interact with the natural environment." And from a Momma's perspective: Merrill Creek Reservoir is a beautiful place to visit with lots of walking/hiking paths, an awesome visitor's center with interactive nature exhibits for children, a gorgeous reservoir (like a giant lake) where you can bring your own boats and kayaks or fish (but if you plan on boating or fishing, please read their regulations page so you know what to do). Where is Merrill Creek Reservoir? Merrill Creek is located in Washington, NJ, off of Rt. 57, not far from Harmony. It's not far from Rt. 78. It is open year round from dawn till dusk. Nothing. Zero. Zilch. FREE. Free, free! 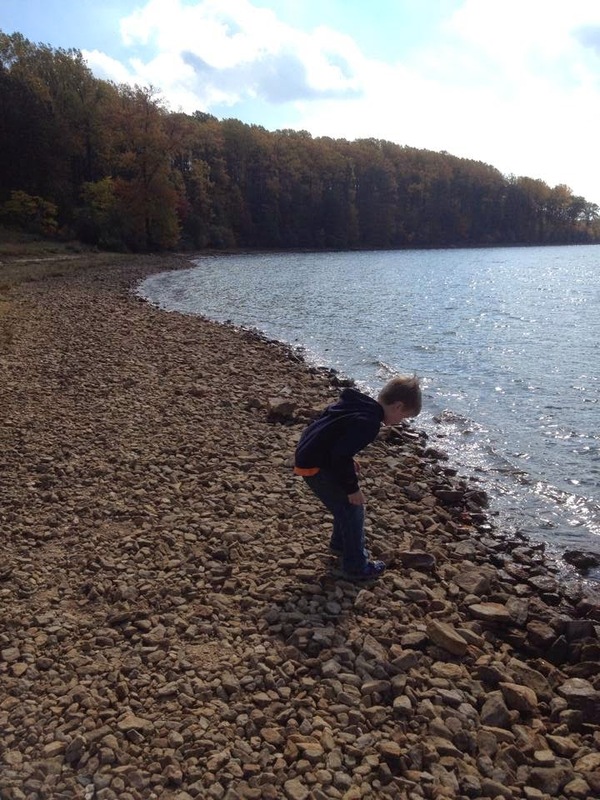 What Can I Do at Merrill Creek Reservoir? Now, this is where you have to be a little creative. Put down your phone (unless you're taking pictures! ), enjoy everything that's around you. 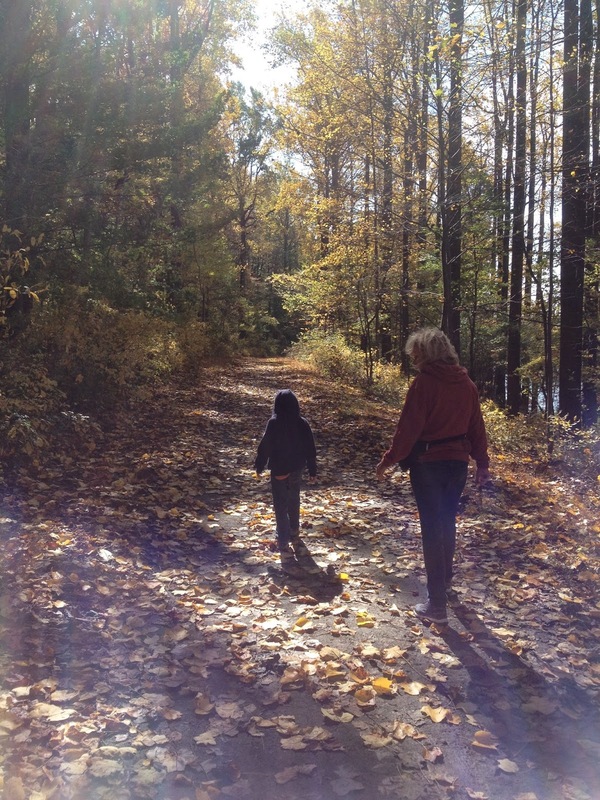 Hike, take walks, collect leaves, bird watch, skip stones on the water, walk your dog, find acorns- you name it! The Jersey Momma's Boy always seems to find ways to entertain himself around dirt and rocks (and water!). We walked the main path to the dam. We saw chipmunks, turkeys, hawks, and even found a snake skin and animal tracks. The Jersey Grandma and The Jersey Momma's boy didn't see the turkeys that just crossed in front of them! Merrill Creek is also home to an awesome visitor's center. You can walk through and see their displays, as well as visit some hands-on rooms for kids. 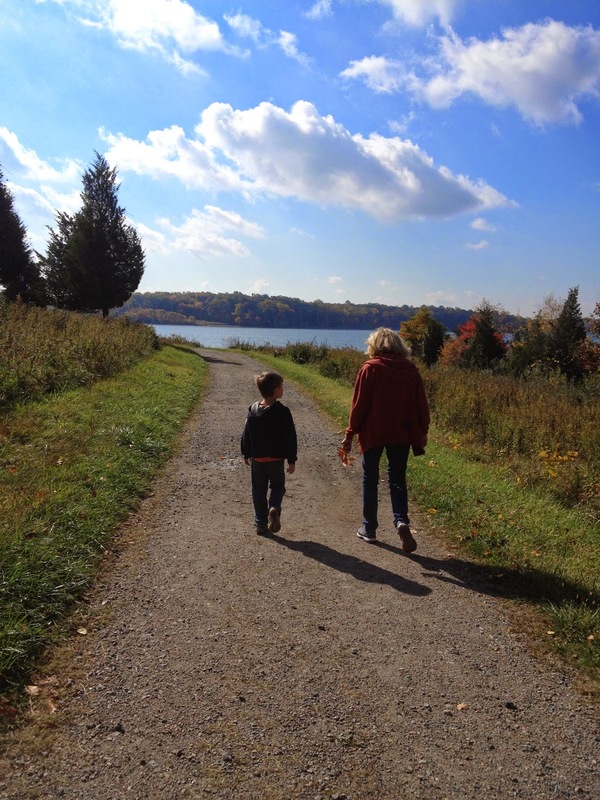 You can hike to the visitor's center from the other areas of the reservoir but if you have small children you might want to stop in the visitor's center first, then drive to the lower lot to walk/hike the paths and see the water (or vice versa). You could push buttons to hear different bird calls. I don't think you fit in there, Jersey Grandpa! This is obviously a natural place, so wear good walking shoes and dress for the weather. The paths are stroller friendly if you have one of those fancy, off-road type stroller jogger things, but for other strollers, not so much. Don't forget bug spray or tick spray. Be sure to check Merrill Creek's website if you plan on boating or fishing. They have guidelines and regulations to follow about those kinds of things. Keep in mind this is a nature preserve and not a "park," so you can't spread out a picnic blanket or start tossing around a football. They do have an extensive list of prohibited items and activities! Bikes are not allowed off the paved areas, and there are other regulations to be aware of, so check their guidelines for more info. Bring your dog but be sure to pick up after him/her and keep them leashed. All great ideas! I love that it's all FREE! :) Fun article.